← It’s been a while. Happy Spring. The school house was moved here and restored in the summer of ’08. Originally it was in Berea, Cuyahoga Co. and was used as a voting booth. It was then moved to Abbyville, Medina Co. where it became a one room school house. When the town outgrew it they built a larger school just down the road, and this school went empty. 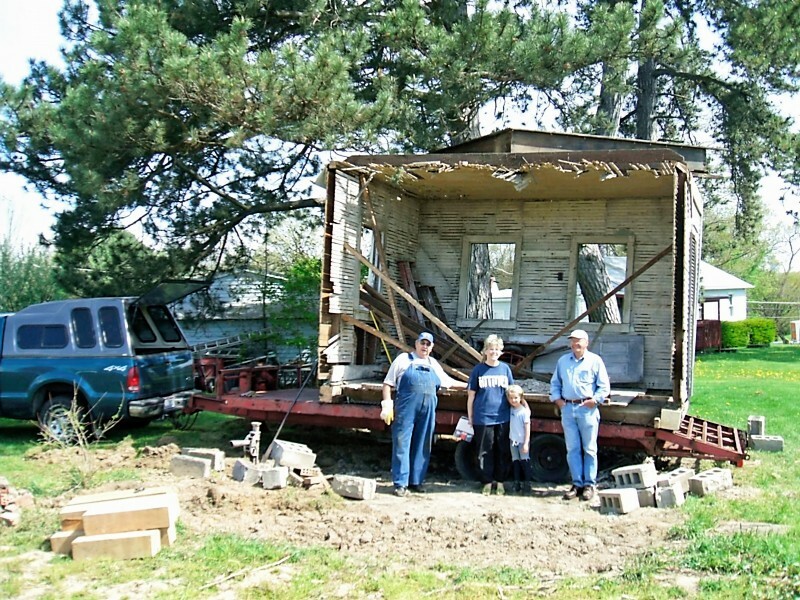 During the Depression a homeless family asked to move in, in exchange for working on the farm. The family divided the building into two rooms, a bedroom and livingroom/kitchen. By the end of WW2 the “school” went empty again. When we moved the school here we decided to leave it divided into the two rooms because the “new” chimney and wall are part of the history of the building. The smaller room now serves as the the museum’s library and the larger room is restored as a school. 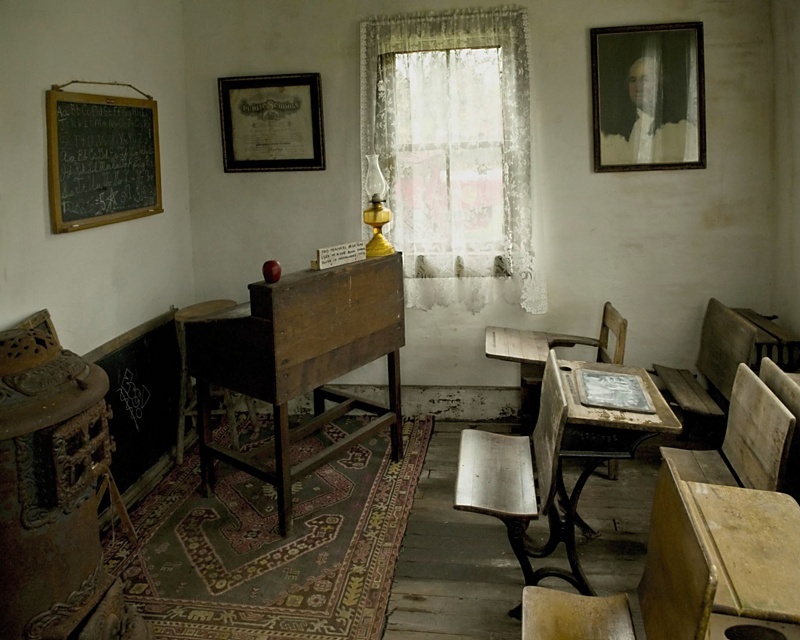 The teacher’s desk is from a one room school in Independence, Ohio. and the chalk board is from the now razed Hower School in Akron.